Sengai Igawa (1876-1961) "Spring Marriage" - Hybrid lithograph (offset lithograph) - Chinese and Japanese woodblock prints for sale, silkscreen, scrolls, watercolor, lithographs. 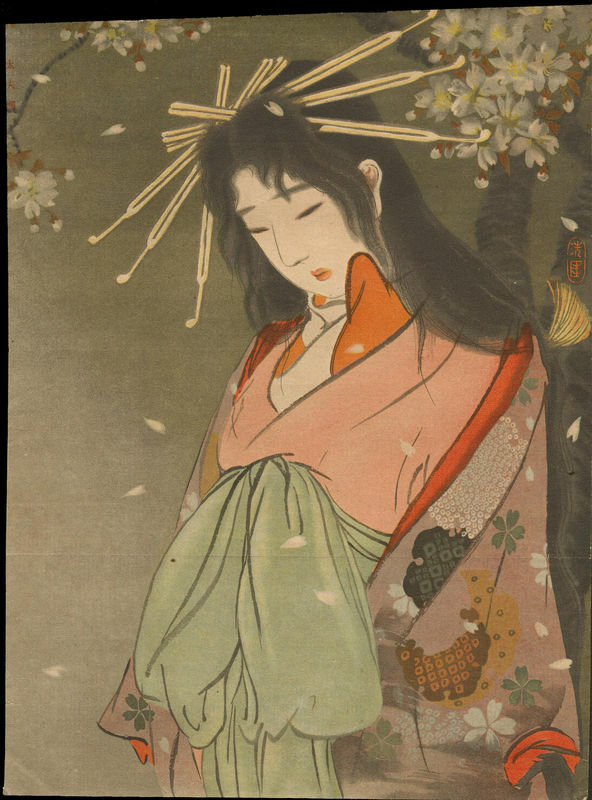 Artwork Details for Sengai Igawa (1876-1961) "Spring Marriage"
Condition: Near fine. Almost no creasing. Mild age toning on the verso. Usual kuchi-e folds.